Oscar Garcia’s earliest memories are of picking strawberries. He recalls one day watching a yellow school bus driving by his trailer, and he wondered where the bus could be going. “Someplace fun,” he thought, before heading back into the strawberry fields, work that provided the primary source of income for his family in Salinas, California. Even later, after his mother got a more lucrative factory job, money was tight. It didn’t help that basic financial services ate into her profits. 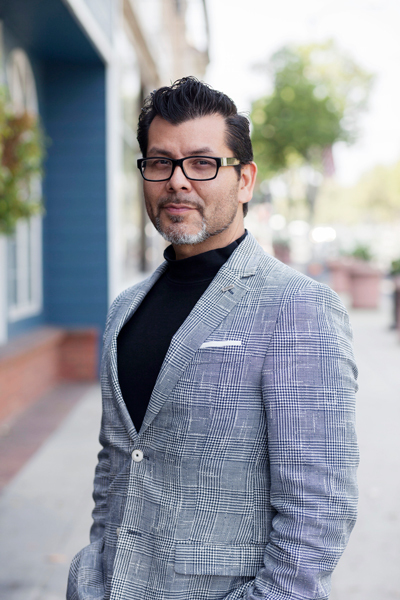 Now, after years spent cleverly carving his own way into financial security, Garcia is working to help the community who find themselves in the same state he was in growing up. In 2017, he founded Uulala with the purpose of providing financial inclusion for underbanked communities—specifically Latino communities, where he says more than 50 percent of consumers primarily use cash. The people in these communities have no bank accounts or credit rating, he says, which disqualifies them from applying for or receiving financial loans. “Uulala bridges the gap between the unbanked and banked worlds,” Garcia explains. “We provide a way of turning your physical dollars into digital dollars.” Using Uulala, users can pay bills online, enjoy access to online marketplaces, and rent cars and hotel rooms. They can also secure a pay-as-you-go MasterCard. Uulala also collects data that can be recognized by financial institutions. “We can track that you pay your bills and give you incentives to pay your bill over a card,” Garcia says. “We give you credit points for paying your electric bill, your water bill, your gas bill. Using our platform, you get rewarded for doing the same thing you were doing with cash.” He adds that paying digitally or with a card can often result in lower fees than users would find when paying bills with cash. Uulala was, in many ways, borne out of frustration. First, there’s the frustration that Garcia felt as an impoverished youth, which helped propel him to make a better life. Then, at the age of eighteen, he was training to be a professional diver when an injury cost him his college scholarship. He emerged from that disappointment to learn marketing from a mentor he describes as a “Tony Robbins kind of guy.” In the mid-1990s, he taught himself computer design and, as a challenge, replicated the layout of a Santa Monica mall using the era’s software. He took that project to a convention and soon saw himself flooded with design offers, which led to more than a decade spent helping kick-start a number of dot-com companies, dabbling in everything from finance and insurance to real estate and direct mail. “There are only a few institutions that cater to Latinos in the way that ALPFA does,” Oscar Garcia says of the Association of Latino Professionals For America, an organization devoted to empowering and developing Latinos and Latinas as leaders of character for the nation, in every sector of the global economy. “Their focused intention to place students is a big factor on why I continue to support ALPFA.” To date, Uulala has participated in three ALPFA events, with Garcia appearing as both a panelist and the leader of a blockchain workshop. Part of that problem is that the Latino American demographic is not represented in databases the way the Anglo-American demographic is. Uulala is revolutionary because it provides that data in spades, thus opening up doors for the entire community. This kind of financial inclusion helps empower underbanked communities, though Garcia is also working to empower Latinos in the industry itself. Uulala is a minority-owned company, with the majority of shareholders being first- or second-generation Latin Americans. Deborah L. Castillero, Uulala’s vice president of business affairs, says that Uulala is notable not just for its expertise but also for really understanding the problems of the community in ways most corporations don’t.